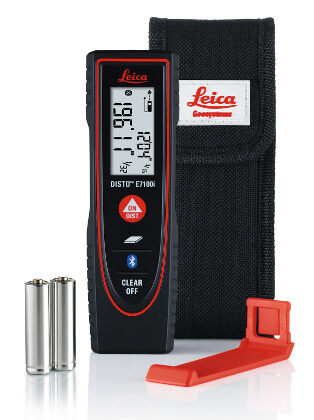 The Leica DISTO E7100i is the smallest and lightest product in the DISTO product family with integrated Bluetooth Smart technology. 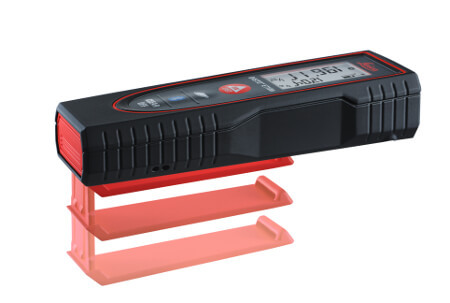 The precise and affordable laser distance meter with only four buttons is deceptively simple to use, and makes measuring distances and areas simple for everybody. The Leica DISTO E7100i also benefits from the value-adding features of the Leica DISTO sketch app with its built-in Bluetooth Smart technology. 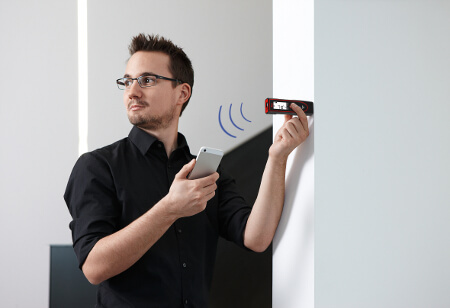 All measurements can be transferred to smartphones and tablets to create floor plans, sketches and photo-documentation with precise measurements.